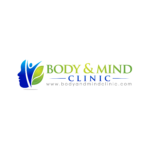 The Body And Mind Clinic provides an exceptional Health and Wellness Service. Although health concepts are always changing we offer stable customised programs, which integrate Oriental Medicine, Functional Medicine, Diagnostic Nutrition with Movement Excellence and Mind Health to give you a complete inner look towards better results that show inside and out. The general population all have different health requirements, needs and abilities. We recognise that one approach doesn’t suit all. Our focus is to meet improve these abilities with customised health interventions. We host a fusion of elite health practices that are rarely available to the general public under one roof. We combine the most resourceful health practices available worldwide after many years investing, studying, research, practice and experience. Providing health solutions the way nature intended. He is a specialist of liver problems where he was the department manager in one of the biggest, most famous hospitals for many years. As a Chief consultant, he also supported the hospitals teaching clinic by leading students & doctors alike into specific management of patient symptoms & reasons for their problems as well as how to specifically resolve them. His own education was as an apprentice of the top Doctors in China before he was approved as a Director. We have been extremely successful with complicated cases where the results have been life changing.